Salt City Gladiator Games: Painting Masterclass! Tickets are almost gone! We are always trying to build as many aspects of the wargaming community. One of the less common events are hobby related. 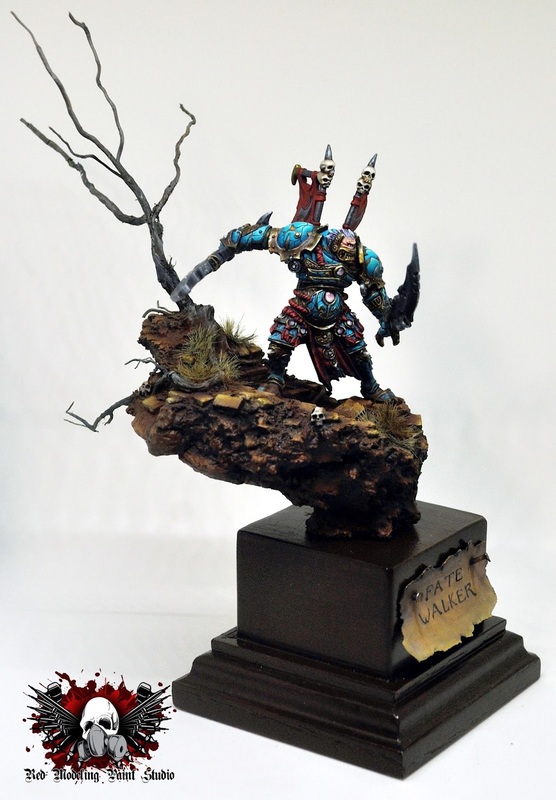 We announced a great one at the Salt City Gladiator games that just finished, a painting Masterclass with Red Modelling Paintings Ashton Holbrook! ASHTON IS A WELL-KNOWN COMMISSION PAINTER AND ARTIST. HE HAS 10 YEARS OF EXPERIENCE WITH PAINTING MINIATURES AND ALMOST 20 YEARS EXPERIENCE IN THE MODEL BUILDING HOBBY. HIS WORK HAS BEEN FEATURED IN NO QUARTER AND ON MANY WEBSITES. HIS PROJECTS HAVE RANGED FROM SINGLE DISPLAY FIGURES TO ENTIRE ARMIES. $65 for the whole day! !